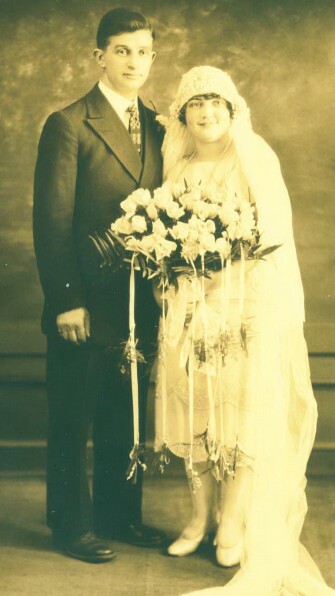 Dad, what were you thinking and how were you feeling when you left your little shtetl of Shershov in 1921 and set out alone for the United States? At the age of 23, what made you go? Hunger? War? Pogroms? Poverty? You left behind a brother and sister in that swampy town in what’s now Belarus, all you had ever known. Did you understand that you’d never see them again, and how did that parting feel? What gave you the confidence that you’d make it to Antwerp and on to the U.S.S. Finland, that you’d sail into New York Harbor and see the Statue of Liberty, that you’d find a way to make a living here and raise a family? The area my father emigrated from was constantly being fought over, not unlike the more recent history of Somalia or Afghanistan. It was controlled at various times by Poland, Germany, and Russia. And, with their own distinct identity and culture, the Jewish villages stood out as targets for the periodic organized riots known as the pogroms. But it’s not just my father I think about. I think about the Korean immigrants who in the 1980s and 1990s opened 24/7 fresh fruit and vegetable shops throughout Manhattan, the East Indians who opened restaurants and stationery stores, the Afghans who run my favorite kabob place, the Chinese. I think about the Hispanics from Mexico and Central America who gather at the 7-11’s in the mornings hoping for work as day laborers. They are what’s great about America. They are the people willing to sacrifice today so that their children will live in a better world. It’s not a zero-sum game. These immigrants enrich all of us with their hard work and dedication as well as with their cultures. How can I admire my father and not detest the hate and fear coming from European-ancestry folks whose families may have been here just one or two generations longer than mine? How can I look at the Syrian families on the nightly news and not see mine?